August 12, 2015 - Terms vs. 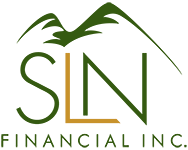 Whole Universal Life Insurance | SLN Financial, Inc. Term life insurance is designed to cover you for a stated number of years, transferring the risk of your death during that period to the insurance company. Term policies do not accumulate cash value and premiums are typically level or fixed for an initial period. Many people choose to purchase term policies to pay off a mortgage or provide for their family in the event of their unexpected death. Because term life insurance doesn't accrue any value over time, the policy will expire at the end of the term. Generally, term policies have much lower premiums than whole or universal life, though premiums and benefits depend on factors like age, employment, and health status. A whole life policy is intended to provide coverage for your entire lifetime - even if you should live to be over 100 years old. During your life, it accrues a cash value at a specified rate and provides a benefit at your death. The obvious advantage of a whole life policy is that it does not expire worth less at the end of a term, and can help you protect and provide for your family at every stage of life. The main drawback is that your policy's cash value may not accumulate at the same rate as other investment options. Universal life, also known as flexible premium or adjustable life insurance, is a variation of whole life insurance. Like whole life, universal life is a permanent policy intended to provide a death benefit at any point in your life and build cash value during your lifetime. The major difference is that universal life policies are eminently flexible: Premiums, cash value, and death benefits can all be scaled up or down (within limits) based on your needs. However, this flexibility also comes with additional risks and you must be mindful to manage your premiums carefully to avoid letting the policy lapse and losing your coverage. Because of the complexity of this type of insurance, we strongly recommend consulting with a qualified insurance expert who understands your overall financial situation before making changes to your policy.